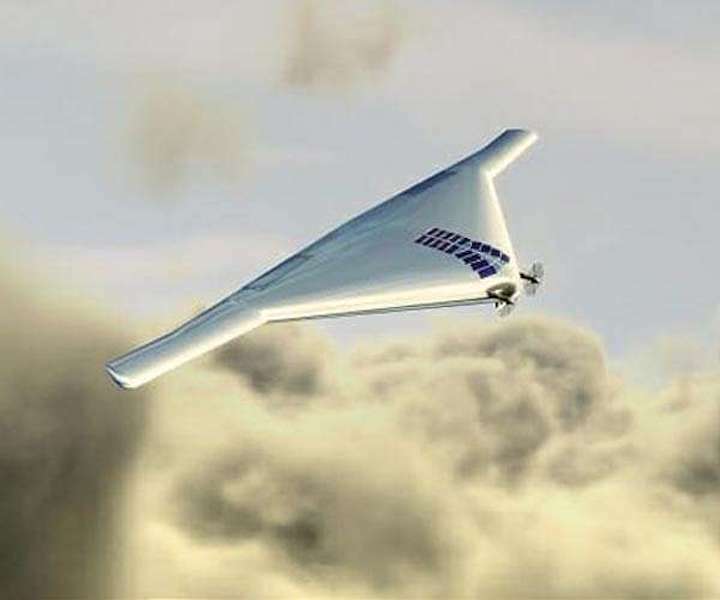 A drone proposed for prospecting the atmosphere of Venus for life is one example of the push to find life beyond Earth. A UW-Madison spring seminar series, highlighting leading experts in the field of astrobiology, is a new effort to promote collaboration and coordination among labs on campus working in the field. "It's something everyone's asked themselves at one point," says Lena Vincent. "How did life arise, and is it anywhere else?" Vincent asks herself these questions every day. It's her job as a graduate student researcher in astrobiology, an interdisciplinary science trying to chip away at some of life's biggest mysteries. By bringing together biologists, chemists, engineers, astronomers and others, astrobiology aims to uncover the origin of life on our planet and life's prospects in the cosmos. With like-minded researchers at the University of Wisconsin-Madison, Vincent helped form a new campus group by the name of OoLALA - Origins of Life, Artificial Life and Astrobiology. The founders of OoLALA hope it can coordinate the dozens of labs that are addressing some aspect of astrobiology and inspire others to join the work. Vincent is launching the new group by organizing a seminar series highlighting four experts in the field, all of them women. Across four talks this spring, the speakers will discuss the underlying physics of life; puzzle over creating artificial cells; rewind and replay life's evolution on Earth; and share how we can detect signs of life on distant planets. The first talk will take place at 4:30 p.m. CDT [21:30 UTC] on Thursday, March 28, at the H. F. DeLuca Forum in the Discovery Building, 330 N. Orchard St., Madison. Sara Walker, a theoretical physicist at Arizona State University, will share her work trying to uncover the physical laws governing life. The series is sponsored by the Wisconsin Institute for Discovery and the Women in Science and Engineering Leadership Institute. "In my mind, the most important question astrobiologists are asking is simple, but fundamental: What is life?" says Walker. "If we knew what life actually is, I think it would lead to a revolution in our understanding of our place in the universe." Figuring out how life got started on Earth can help researchers understand the conditions that might have led to life - and how to spot it - on other planets. And if life were to be found on other worlds, it would speak volumes about how easy it is for life to get started and how it might have begun here some 4 billion years ago. Although many researchers around UW-Madison are already addressing questions relevant to the field - from the biochemistry of simple cells to astronomical surveys of space - they may not consider the astrobiological implications of their work, says Vincent. She hopes the seminar series can alert Wisconsin researchers to new opportunities. "We want to showcase astrobiology and inspire scientists to consider contributing to these fields through the lens of these four women who are pioneers in their disciplines," says Vincent, who is studying for her doctorate in the lab of David Baum, a professor of botany who researches the origin of life. Vincent started out as a cancer researcher. She jumped over to astrobiology when she realized that she could make a career out of turning over questions about life's origins, on Earth and off. Originally, she thought we may well be alone. Now, she's an optimist about life's possibilities. "The longer I've been thinking about these questions, the more I'm convinced that life exists elsewhere," says Vincent. "Being alive," she says, "might be easier than we think."